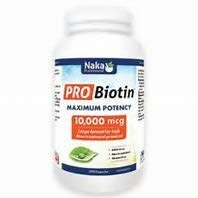 Pro Biotin from Naka contains 10 000mcg of this important B complex vitamin. Biotin is a water-soluble vitamin necessary for normal growth and body function. 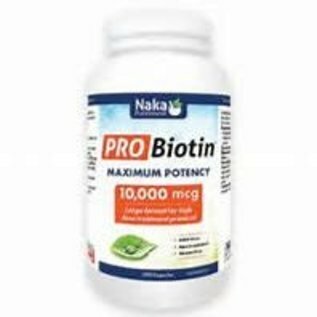 Naka’s Pro Biotin is a key regulatory element in gluconeogenesis, fatty acid synthesis, and in the metabolism of some amino acids. Alongside its role in energy production, it also enhances the synthesis of certain proteins. In addition, Biotin promotes normal immunity and plays a critical role in skin health.